Another tremendous obstacle that Sierra Leone has placed in front of them is that of the health of the citizenry. With all my previous posts, I have been building to what is perhaps their most dire of circumstances regarding the Leonian community. Two diseases are currently affecting a significant portion of the population – Cholera and HIV/AIDS. 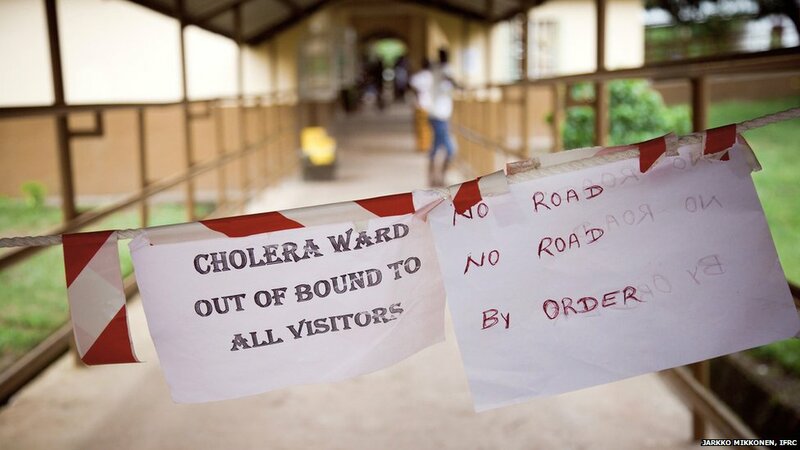 While the plight of HIV/AIDS victims in Africa has been well-documented and discussed among health professionals and governments, not enough is being done at the moment to help the victims of cholera. The spread of cholera is so rampant in Sierra Leone because of the existence of cramped, under-developed housing in the urban centers. These shantytowns exist without any kind of oversight or administration that can positively affect the lives of the people who live there. The even bigger issue is that these places lack any kind o plumbing or waste disposal system. So human waste is widespread and is can seep in the drinking water as well as infect open wounds that may occur. Sadly, what kills many of these people is not the disease itself, but what it results in – which is dehydration. So little clean drinking water exists because of the infrastructural problems that resulted from the Civil War. Thus, people are unable to replace the fluids lost from their bodies through diarrhea and vomiting. In the modern world, the impact of nearly every fabric of a society as it affects the environment has been intensely scrutinized. Sierra Leone is no exception. With the Civil War over and an economy still in turmoil, Leonians have begun to re-establish their agricultural sector. Over 40% of the country’s current GDP (Gross Domestic Product) is made up of agricultural ventures. 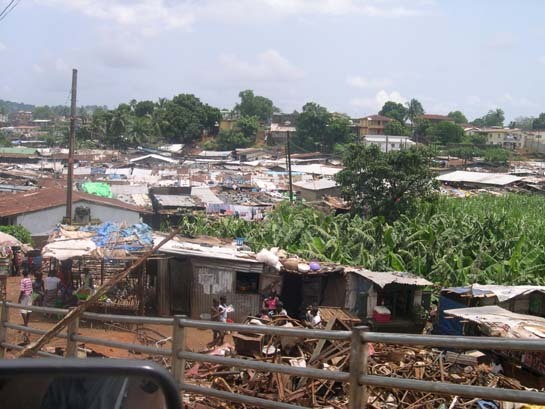 People that were previously living in shantytowns next to the capital of Freetown, have now moved back into the rural country side. With the destruction of habitat, wild life numbers diminish significantly – contributing to the growing number of endangered species. 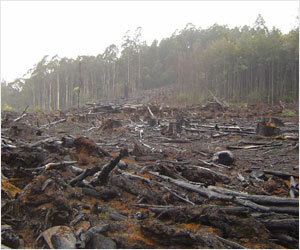 With fewer trees, the soil can become arid and can lack nutrients, which cannot be easily restored. Among the greatest teams ever to play in the World Cup, the 2002 Senegal squad should be recognized for its skill and the prominent win over France. Coming in to the group stages, France was poised to make a run through the other three teams in Group A: Senegal, Denmark, and Uruguay. France, having won the 1998 World Cup, was seen as the dominant team and many were placing bets that they would vie for a second championship. The 2002 World Cup was Senegal’s first time even qualifying. Their team was considered the underdog and few thought that they would make any sort of a challenge. These doubters were proven wrong by a squad of players that were virtually unknown. Senegal vs France was the opening game of the 2002 World Cup. France saw it as an opportunity to start their run with a big win. Senegal saw it as the chance to slay a giant. And slay it, they did. Through a brilliant strategy combining intense mid-field pressure, Diouf’s athleticism, and smart positioning – Senegal managed to shut out the highly touted French offense in a stunning and unexpected rout of the former champs. Senegal then advanced past the group stage through two consecutive ties versus Uruguay and Denmark. They then made it to the quarter-finals and where they were unfortunately defeated by Turkey by a score of 1-0. But none will forget their historic “Cinderella” status in the annals of World Cup history. In a hallmark example of how corruption is still a pervasive influence in the Leonan government, 29 top health officials have been indicted by the ACC (Anti-Corruption Commission). They have been charged with “misappropriating over a half-million dollars in grant money”. As of today, there has been no date set for a trial. 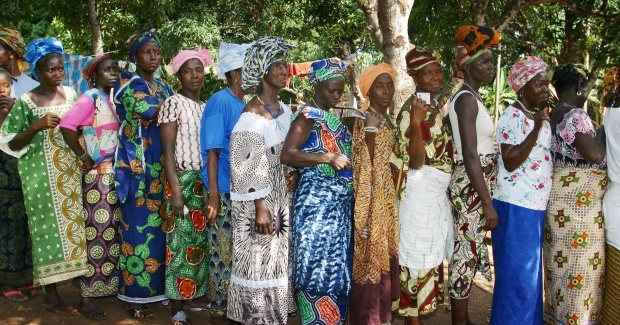 There is no sufficient way to summarize a woman’s rights in Sierra Leone in a brief post on this blog. Women face a staggering duality in regards to how the government views them. While steps have been taken to improve their rights in the laws (New Laws 2007), more is needed. To begin, pregnant women face difficulty in acquiring the medical care necessary to ensure a healthy pregnancy. There is virtually no access to pre-natal vitamins. Drugs that should have been made available to them for free, have been paid for out-of-pocket. This inflicts an even greater risk due to inflated poverty. Women also face strong opposition to obtaining economic status due to the highly patriarchal attitude within the society. These women are seen primarily as mothers and “house keepers”, not typically as contributing members of the culture. They are thus, denied the right to any kind of basic education including efforts towards literacy. This stigma, while damaging, is not the truly gruesome, pervasive matter which affects their lives. It has also been estimated by Amnesty International (Amnesty International), that between 65 and 90 percent of all women of age have undergone FGM (Female Genital Mutilation). This is the practice of forcibly removing external parts of female genitalia. In some areas of the world, this process is even seen as a passage into adult woman-hood. As much as 60% of Sierra Leone’s population is considered Muslim and this practice could be seen as a way to diminish a woman’s sexual desire. While the politicians of Sierra Leone seem to be working towards solutions to these problems, it is obvious to any reasonable observer that they are not doing enough. As of today, there have been no new initiatives to improve the circumstances that most women in Sierra Leone currently find themselves. Which is, a society dominated by men that, in some cases, feel they have the right to treat them however they wish. In the 1980’s, Sierra Leone was in dire economic straits contributing to their high level of poverty. They, the Leonan people, were largely unable to improve their living conditions despite an abundance of natural resources. But what contributed to this lack of monetary momentum? Put simply, political corruption and treason on a massive scale. After the death of Sierra Leone’s first Prime Minister in 1964, Sir Milton Margai, the government was inept, mismanaged, and corrupt. 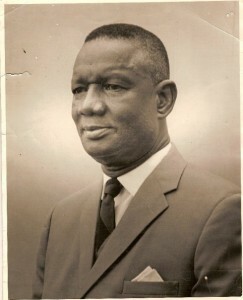 This is largely due to the rule of Siaka Probyn Stevens, who came to power from 1967 to 1985. I will examine this man’s impact on Sierra Leone in a later post. 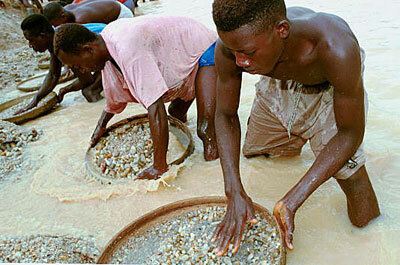 But perhaps the most famous example of this criminal activity involves the fraud surrounding alluvial diamond mining. Leonan government officials profited enormously while the workers were barely given any compensation. Such nonequivalent gains led to a significant displeasure among the working class of Sierra Leone. Instead of focusing on the gruesome brutality, I will simply give a timeline of the events. 1991: Civil War begins as RUF capture border towns. 1992: President Momoh replaced in military coup by a Captain Valentine Strasser. 1996: Strasser is then ousted by Brigadier General Julius Maada Bio, his Minister of Defence. 1996: Newly elected Ahmad Kabbah signs a peace agreement with RUF. 1997: Peace agreement is nullified after yet another military coup, orchestrated by a Major Johnny Paul Koroma. 1997: UN Sanctions are imposed, but are ignored though the black market and private security firms. 1998: African Intervention Forces drive rebels out as Kabbah returns to Freetown from Guinea. 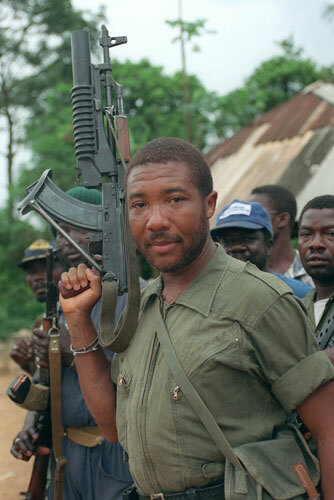 1999: RUF forces establish a foothold in Freetown which leads to gruesome fighting and yet another withdrawal by the rebels. 1999: A UN-negotiated peace accord is reached – parties are hopeful of resolution. 2000: UN directed forces are dispatched to suppress rebel fighting. 2002: War declared over. Rebels are said to be completely disarmed.